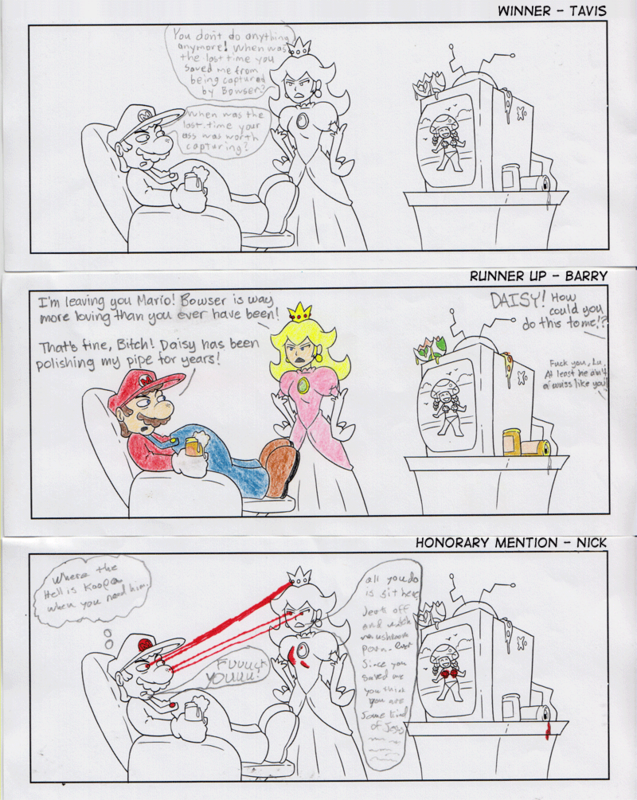 And here is part two of the Comic Contest Entries. As usual, I do one random comic and one with video games. This year, the subject was Mario just trying to chill out, enjoy a beer and watch some Mushroom Kingdom Spring Break on MTV. 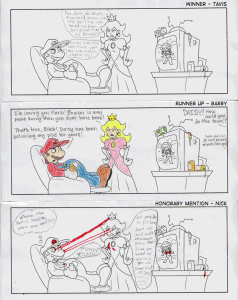 Meanwhile, Peach has to find some way to ruin Mario’s day.